Following $50 million dollars of recent fundraising, tech-brokerage Redfin is coming to New Hampshire as part of a massive national expansion. Since launching in 2006, Redfin has made a name for themselves in major markets such as Seattle. 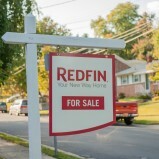 Redfin is coming to New Hampshire! As the Team Lead, you are responsible for building an excellent customer service organization, resulting in happy employees and happy clients. This is an opportunity to establish an area from the ground up, flexing your entrepreneurial muscles while having the backing of a world class organization and award-winning website. As we grow the market you’ll develop a team of agents, a coordinator and associate agents to serve your clients in a seamless fashion, establish best practices and build a team that’s not just great, but world class. And you’ll get plenty of clients, often as many as you can handle, who’ve chosen to work with you by checking out your profile on our website. Lead a world-class team: you’ll be leading a team of agents, coordinators & associate agents. You’ll be required to share your knowledge and experience as a successful real estate agent and help develop your team member’s careers. Educate: you’ll teach home-buying classes to your community and answer questions about how the process and Redfin work. You’ll work with other Team Leads to improve processes and share ideas. Leader: you’re resourceful, decisive and hold yourself and others accountable for the entire customer experience. You don’t accept mediocrity, and you’re constantly looking for ways to improve your team’s service. Real estate chops: you’re a customer advocate, a diplomat, and you always keep it professional. You’re a licensed agent and have closed at least 30 transactions, with 5 in the past 12 months. Tech-savvy: you love and embrace technology – you’re addicted to email, social media, and your smart phone. You look forward to learning new systems and teaching them to others. What You Earn: You earn a salary plus a bonus for every happy customer you create. We pay for health insurance for you and your family, computer equipment, cell-phone plan, mileage, continuing education, MLS dues. Redfin is an equal opportunity employer. Our take: competition is great, and Redfin has an innovative model that will offer new options for New Hampshire buyers, sellers, and brokers.